Your Top Carpet Cleaning Services In Houston, TX! Wall-to-wall carpet is installed in a lot of residential houses and apartments, but also in some businesses and industrial places, such as: hotels, clinics, casinos, movie theaters, etc. It is usually meant to give a place a more luxurious vibe. It also provides comfort, especially at home, where we can walk barefoot and still have something soft under our feet. But carpets of any type and any kind tend to accumulate dust and even some dirt such as crumbs. The longer the carpet's threads are, the more dirt it will draw. Therefore, if you have a carpet at home or at your commercial property you should have it cleaned, preferably by professionals, on a regular basis. At most homes, carpets are cleaned by sweeping or vacuuming them, and occasionally by washing them. But sometimes they require more thorough cleaning, the likes of which are usually performed at industrial locations, where the carpets are cleaned by using pressure wash machines, scrubbing and steaming. At most homes it is recommended to call for professional carpet cleaning services, so you can be sure it's not only superficially clean but also safe, as any trace of possible dirt or bacteria is removed. Why Is It Important to Clean the Carpet? As mentioned, the carpet catches a lot of dirt and dust, and it does so on a daily basis, whether it's in a business or a home. The dust and dirt can develop into more serious hazards that might actually affect the human respiratory system among other things. An unclean carpet is a proliferous breeding ground for bacteria, which can also harm us. Therefore, it is important to regularly clean it if we want to maintain the safety of our family, friends, guests and clients. First of all, it is important to choose professionals to do this job. Ones who are experienced with the process of cleaning carpets of any kind and in any condition it may be, and that's what you'll find our technicians to be. Secondly, we offer our services for competitive prices, so they will be available for everyone who wishes to use our help. We believe in great customer service and won't be done until you're fully satisfied with our job. Additionally, our company offers both residential and commercial services so everyone can find the solution they need – call us and discover our comprehensive services. Our team offers a range of different services, which all fall into one of two categories – chemical (dry cleaning) or steam (wet). Each option has its advantages and disadvantages. With the steam method, the surface is first soaked with a chemical solution that reacts with the dirt in the fibers, nearly boiling water is injected into the carpet and after about 15 minutes all is extracted using a high power vacuum, removing nearly a 100% of the dirt, bacteria and difficult stains. The disadvantages are the length of drying time and the higher cost. The process of chemical cleaning can include using a bonnet, a dry compound, and a dry shampoo. 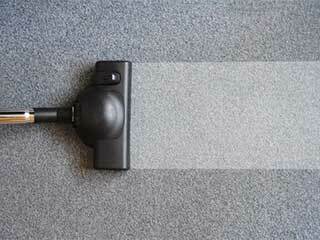 In each of these methods, a chemical solution is spread onto the carpet, which is then vacuumed. This method tends to be cheaper but its main disadvantage is that it does not offer the benefit of deep cleaning and therefore is only appropriate for surface or maintenance work. Do you have some carpet cleaning tips to offer me? The most important tip regarding cleaning your carpet is – never ever rub it. Small stains can be soaked up with a paper towel, while others require club soda, a squirt of diluted white vinegar or even some shaving cream, which can be left for up to 30 seconds then gently absorbed with a cloth or a sponge, and brushed by hand. Trying to forcefully get rid of stains and dirt can end up causing more damage, so be sure to leave the complicated stains to our experts.